Ugh! I love donuts. I know health wise, they are not the best food for you, but they are definitely one of the most delicious foods out there. LOL. Technically, I should lay off the sweets because Gman and I are gearing up for the Tough Mudder race in October, but when the Vegas Lifestyle Influencers were invited to stop by Carl's Donuts here in Las Vegas, I couldn't help but think of all the goodness I'd be missing out on. Has been in business since 1966. The place is a family business, now ran by Carl's grand daughter, Amber. 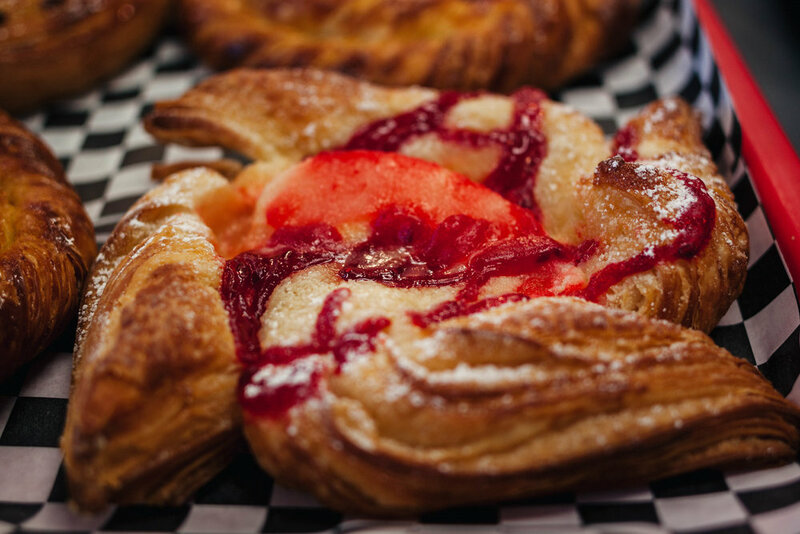 Donuts take the main stage in business, but they also sell fritters, danishes, cookies, coffee and OJ. 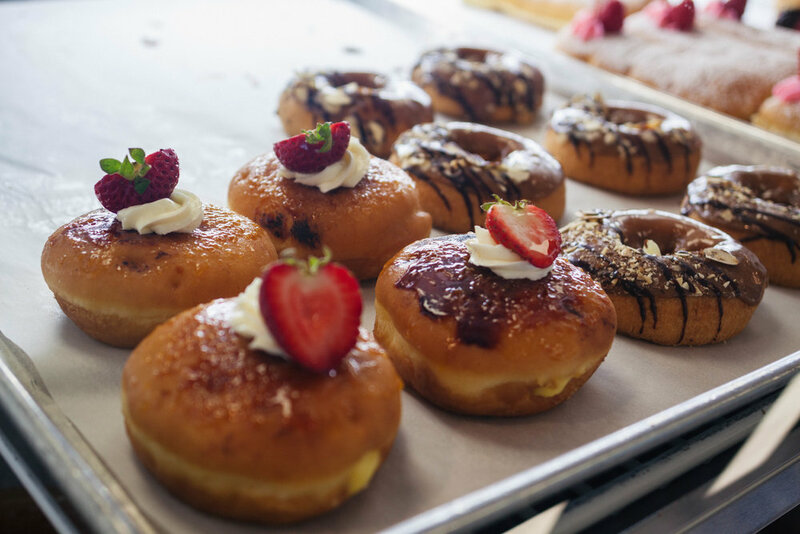 Carl's Donuts are fluffy, decadent and everything a donut should be. 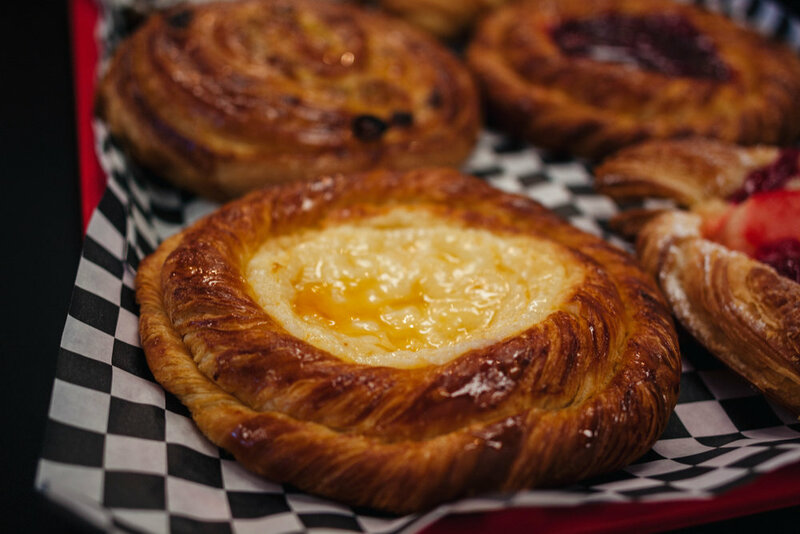 We got to sample many flavours along with the danishes. My favs? The white chocolate raspberry and the old fashioned sour cream donut. We also got to try their iced coffee. I had a iced Hazelnut latte and it was perfect with the donuts. There's something refreshing about an iced coffee with a good sweet donut in the middle to dead heat summer. It was the perfect afternoon treat! One really awesome activity we got to do was decorate our own donuts with frosting, sprinkles & all! For frosting, we got to choose from chocolate, vanilla in white and pink frosting and maple. 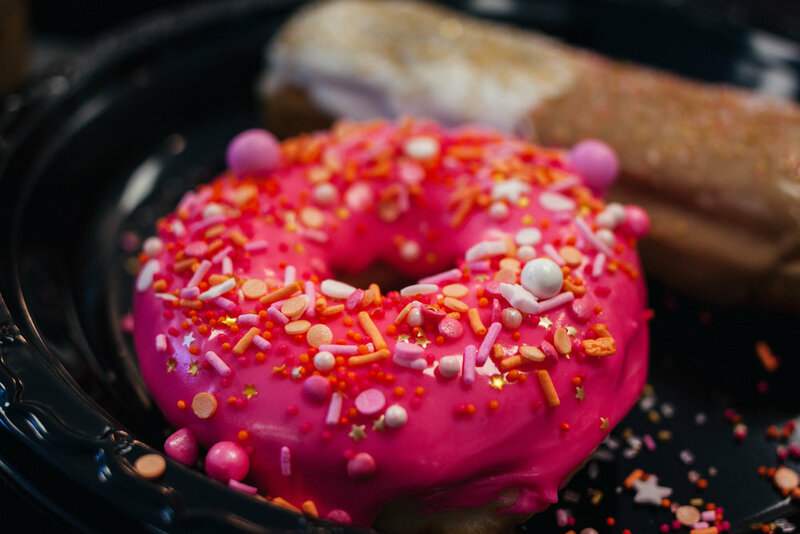 We had quite the array of sprinkles to choose from, so it made decorating the donuts even more of a creative experience for us. I decided to go for a double-dipped combination for my bar and make it a maple-vanilla bar with gold and pink sprinkles. For my second donut, I used pink vanilla frosting and put on these cute white, pink and orange sprinkles to top it off. At the end, we got to take our creations home along with some hand picked treats! Amber was nice enough to let us choose a few goodies to take on the road. I of course went for the maple old fashioned sour cream donut (my favorite donut combination EVER! 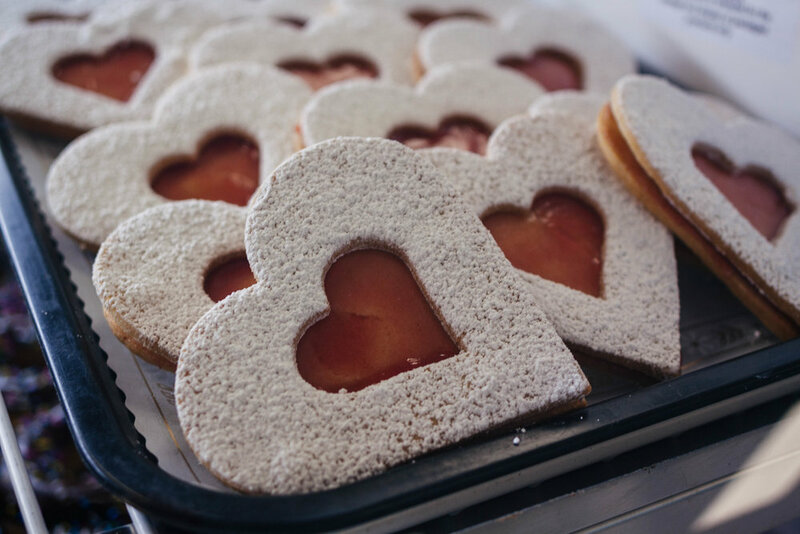 ), a jelly filled cookie heart and a almond croissant. 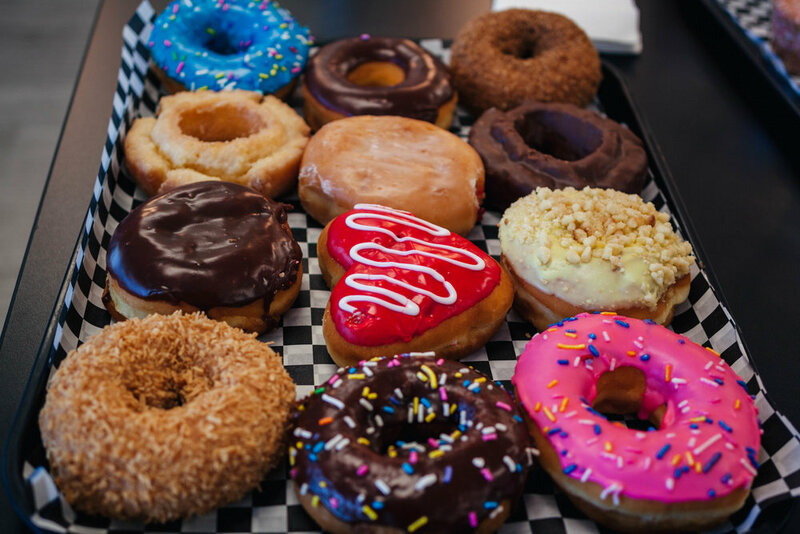 Check out Carl's Donuts at 6350 Sunset Corporate Dr Las Vegas, NV 89120 (down the road from Townsquare). 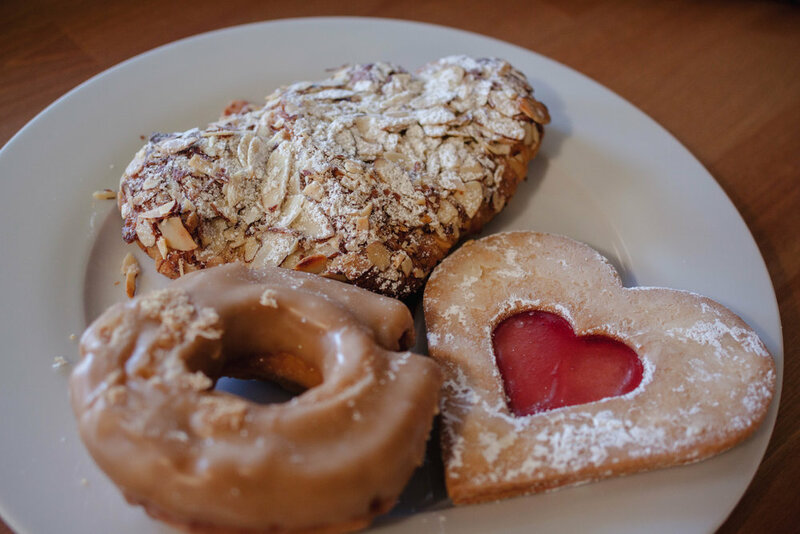 Grab some coffee, a tray of donuts and enjoy a delectable treat from a local Vegas favorite. Also, be sure to follow them on Instagram to keep up with the latest and greatest from the shoppe!